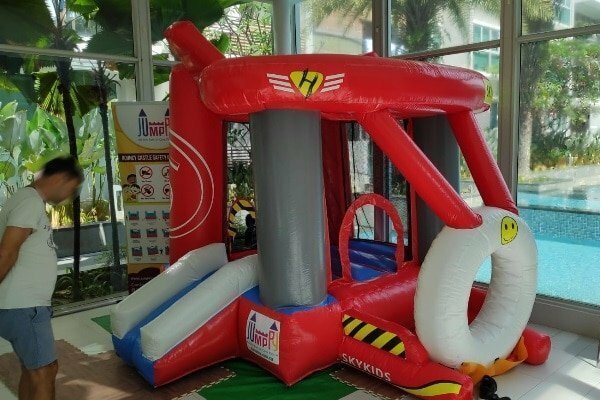 The Skykids Airplane Inflatable Jumping Castles has everything kids love about airplanes. It’s in a vibrant color of red with a baby blue slide on one side and a small ball pit on the other. There are tiny wings at the top and there is also a small basketball loop beside it. 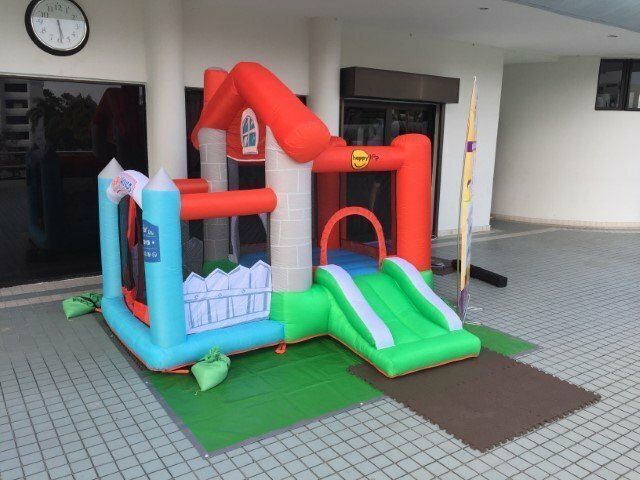 With so many things to do in this jumping castle, the sky is limit for the kid’s imagination.